An old photographic picture postcard of Ruffle’s Mill in Haverhill, Suffolk, England. 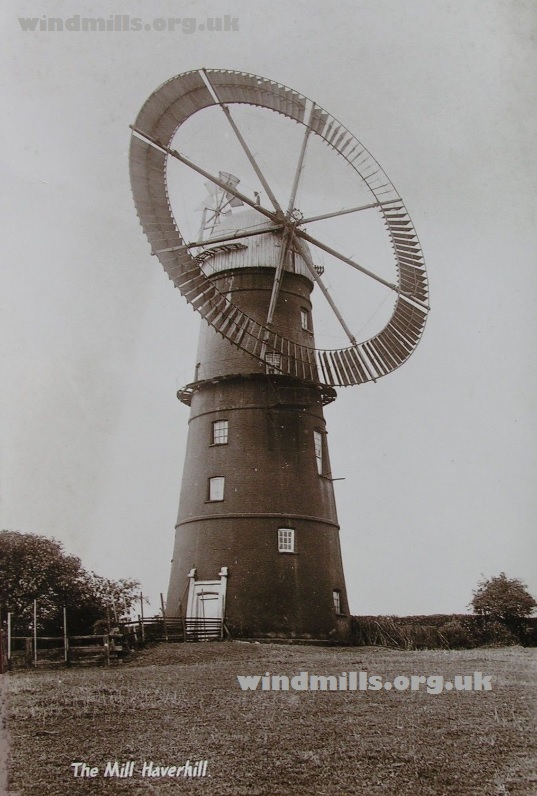 Ruffle’s Windmill in Haverhill was built in 1797 and converted to a eight-spoke circular sail in around 1861. Although this form of sail was used in France it is believed to be the only mill with a circular sail ever used in the British Isles. Unfortunately the mill was demolished during the Second World War as it was thought that it might be used as a landmark by enemy aircraft. This entry was posted in Old Images, Windmills and tagged Haverhill, mill, Suffolk, windmill on February 8, 2015 by Tower Mill.